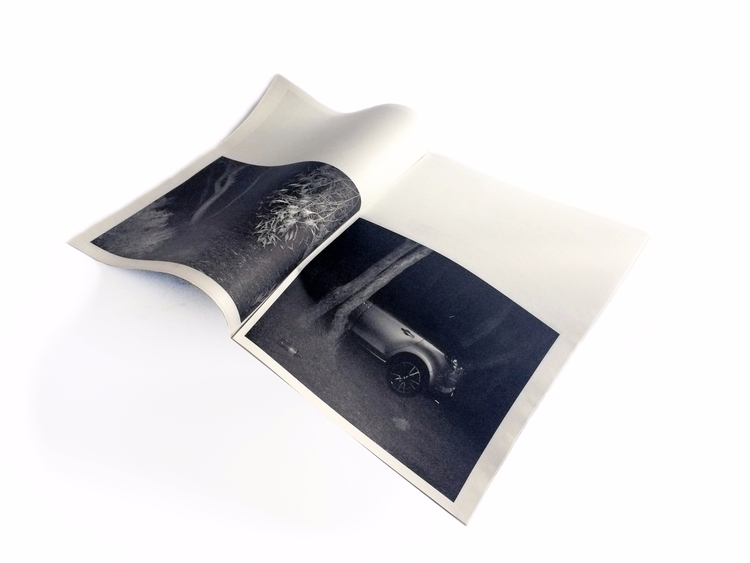 Still Hunt is a self–published magazine and limited edition folder by German photographer Jan Stradtmann. The project, shot in the area surrounding Gallipoli, in Southern Italy, in August 2015, showcases a group of teenagers meeting at the beach at night. "The pictures are taken by a camera trap equipped with a motion sensor and infrared flash. The way the images are cropped, the low resolution of the camera itself, and the use of black and white effects combine to create an alienated impression. Still Hunt captures the height of summer coming to an end, encapsulated in the choreography of teenage bodies" (text Jan Stradtmann). The magazine was designed in order to display the photographic narrative through three layers (when, what, where) which were differently laid out in the spreads. The paper and printing process highlight the ephemeral scenes depicted. The layout was also influenced by the fact that the loosen sheets can be separated from the magazine and work as posters.